I was doing my very best, every opportunity where I can share to people, to my students and fellow teachers, to let them know what is steem, and the technology of blockchain. 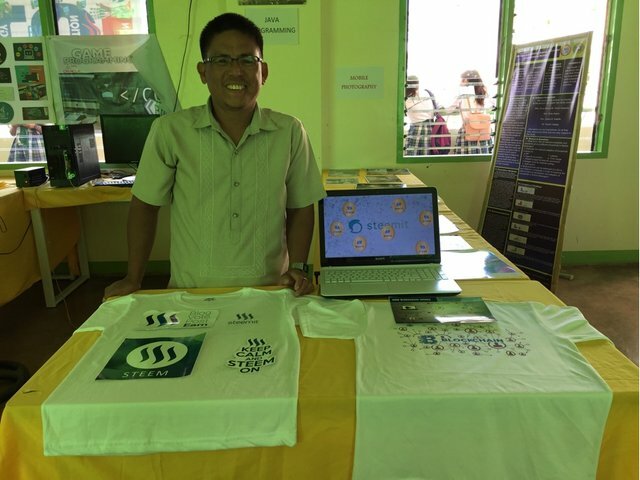 The image was taken from the AASMNHS Senior High Expo, where there is a corner for me and few of my steemian students displayed a shirt steem and stickers, and videos of how blockchain works. You've such a kind and friendly face. Yes this me. About your delegation, lets proceed from what we have agreed upon, you can withdraw the delegation at the end of March. I will focus on my posting this summer vacation. Thank you so much for being an awesome Partiko user! You have received a 9.68% upvote from us for your 1556 Partiko Points! Together, let's change the world! Hello! We have already added your referral bonus for lalainecabe, however dmatira is not using Partiko anymore so can't add this one.